Half a year…182ish days. At times you can seem daunting or really long ago; other times you fly by faster than Blue Bell’s flying off Texas shelves right now. I’ve lived 57 sets of you but when I think of my last set of six, in many ways it feels like a dream. I’m not sure I will ever be able to fully put into words what’s happened in my last six months. You have been hard, fast, exciting, exhausting, life giving and unexpected while being filled with firsts, adventure, fear, opportunity and life lessons I’ll never forget. Beginning of March-Beginning of May: served as a Chick-fil-A team member as Branson’s first store opened; balanced two jobs and while I didn’t mind the extra money I was really doing it to learn more about how CFA trains their employees as they continue to set the industry standard in customer experience. May-August 8th: summer 10 at Kanakuk K-West; hardest of my 10 summers in that place but so fun at the same time as I was able to laugh a ton and learn a lot as I got to sit front seat as the Lord showed up how only He can. August 11th-September 6th: four weeks on the trip of a lifetime; the timeliness of my European Adventure couldn’t have been more perfect. My prayer was for it to be restful, reflective and purposeful…all three and more occurred. In the span of time a viable baby can be formed, I fit all the above in and more. There will be few seasons in my life filled with more diversity and adventure, and as I look back I can’t help but laugh. Did all of that really happen?! If I were in any other life stage, I couldn’t or at least wouldn’t have done it all. And I wouldn’t trade my experiences for a different life stage. I need to remind myself of this as it’s so easy to compare and dwell on what I don’t have. Even in just the past few months I have been able to do incredible things. Rather than wishing for things to be part of my life, I want to genuinely celebrate all I already have and am getting to do. I just did things people dream of doing their whole lives. I saw pieces of creation most will only see in photos. My scope is broadened, eyes opened and life changed because of it. My last six months have been so fun, so adventurous. I may never have six that rival you in a row again, but I am incredibly thankful for the journey and always want to live willing to take risks. Cheers to the beginning of travel season at work and the start of set 58 of you! Today, you mark a big day in my world. Today, I write letter #183. 183 + 183 = 366. Unfortunately, our next leap year isn’t until next year, so my equation doesn’t work out perfectly, but I’m as close to six months into this blogging deal as I’ll ever be…Booyah! I began Letters for Lindsay on October 1st, six months ago, blind. I had no idea what I was doing, and honestly still don’t. It was as if I was walking through a dark hallway, no idea what’s in front of me and have been feeling my way through it. We’ve all done the walk where we take really small steps bracing ourselves between the two walls anticipating the moment we finally reach the light switch. Only, my blogging hallway didn’t have a switch. It remained dark, and I had to stumble my way through as my eyes tried to readjust. I wrote. I wrote more. And then, I wrote even more. I found a way to write on trail, vacation and under the weather, and every day I wrote, it seemed my eyes adjusted a little more. Before long, I was starting to see signs of light ahead. Today, I still haven’t found the light at the end of the tunnel (in this case, my hallway), but I’ve learned a ton on this journey. So you have brought me to a crossroads. From the beginning I’ve made it clear I don’t know how long this quest will last. I’ve been pondering this for awhile, and I’ve decided six consecutive months of blogging is enough for me. I don’t think I’ve ever done anything everyday for three months straight, let alone six. I’m sick of the daily burden. Today, I call it quits. I would like to personally apologize to my “enormous’ following. I know an important piece of your day will be missing when you aren’t able to read my take on life daily. 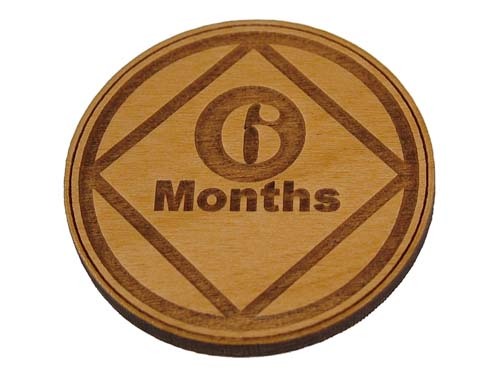 Not only are you the end of my blogging adventure, my six month blogging anniversary and TGIF, but you are also April Fool’s Day. Ladies and gentleman, this is my six month anniversary, but I have good news. I’m not done blogging yet”…April Fool’s!!!!!!! !